20's the magic number when comes to easing of cooling measures? According to an internet survey conducted by our Lianhe Zaobao, 70% of the 1,262 respondents said that it is still not time for our government to ease off on property cooling measures. 40% of them even go as far as saying that such considerations should only be made if property prices fall by at least another 20%. In addition, 18% of the respondents felt that more cooling measures should be imposed to curb rising private home prices, as current measures seemed to have insignificant effects. The Lianhe Zaobao survey seemed to suggest that a 20% price drop is the "physiological barrier" for most respondents when comes to easing of current cooling measures. Conversely, only 27% of those who responded felt that the existing measures should be relaxed now. The wife and I wonder if the survey conducted is really an accurate reflection of the current sentiments on the ground. To be fair, 1,200+ respondents is only a small proportion of those who read Lianhe Zaobao (even for their online version). The figure is even smaller if you consider the number of existing/potential participants in the private home market. But let us assume that the "20% price drop" is really what home buyers want before they deem it necessary for the government to ease off on the cooling measures. We wonder if those respondents that made this call have considered the repercussions of such a 20% drop carefully enough. One might ask at this juncture: if private home prices will to drop by 20%, surely this is a good thing especially for those who are waiting to enter the market. So what possible repercussions are there? They can jolly well enter the market yesterday already if they choose to, but are remaining on the sideline and waiting for the market to hit their "ideal" price before entering. You be surprised how many of our HDB dwellers actually belong to this group. Those who have sold their property earlier or are selling their existing property now (while the market is still lukewarm), and betting that prices will fall drastically in the near future so that they can re-enter the market again. Meantime, they will go on rental or move back to live with their parents. Those who want to move from HDB to private or a small private to a bigger private apartment, but need to sell their existing homes before they have enough cash to make the switch. For the "Cash Rich" and "Risk Taker", they will probably want cooling measures to stay till the property market crashes, if possible. The bigger the price drop, the better it is for them as it increases the potential upside in value of the property that they eventually buy. But for the "Upgraders", a significant price drop in private home prices may not necessarily be a blessing. History do indicate that when prices of new private home fall significantly, it will bound to have a "knock on" effect on private resale and eventually HDB resale prices. Although the degree of price drop in the three housing sectors may not be proportional, the price gap that the "Upgrader" group needs to bridge may still remain too wide for them to upgrade. And to make things worse, they now find themselves in a double whammy whereby their existing properties have fallen in value and also become more difficult to sell in a bear market. 8 comments to ''20's the magic number when comes to easing of cooling measures?" I don't quite understand how the "upgraders" could be hurt by a 20% drop in property prices. In a crash, you are right to note that the impact on private properties and HDBs will be different but it's unlikely that HDB prices would drop more (in %) compared to private property prices. And even if I assume the drop to be 20% for both HDB and that private property the "upgrader" is aiming for, this is likely to be beneficial for him. For eg, his HDB might be worth $500k now and he is contemplating buying this condo priced at $1 million. The gap is $500k. When both prices reduce by 20%, the HDB would be sold at $400k and he can then buy the condo at $800k. The price gap is reduced to $400k. Isn't this a better deal for him? Yes, we do agree with your illustration, i.e. the price gap is reduced when both the existing (whether private or HDB) and "target upgrade" properties fall by 20%. Our concern is that despite the narrowing of the price gap, the supposed "smaller" gap may still be too far to bridge if one is primarily dependent on the funds from selling his current property to upgrade. In addition, you are likely to struggle trying to sell your existing home in a falling market. While the wife and I are unable (for now) to quote actual historical data to substantiate our claim, we do not totally discount the possibility of HDB prices dropping more % wise as compared to private home prices from occurring. There is an even chance that we could be wrong of course, especially since we do not keep up with developments on the HDB price front. But we will see if we can make time to do some research on this. "Our concern is that despite the narrowing of the price gap, the supposed "smaller" gap may still be too far to bridge if one is primarily dependent on the funds from selling his current property to upgrade. 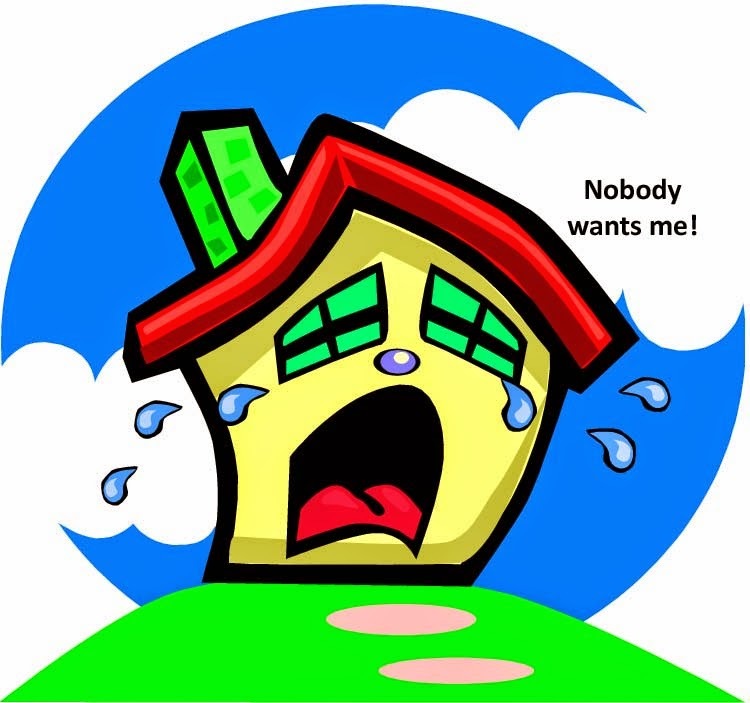 In addition, you are likely to struggle trying to sell your existing home in a falling market." I guess its sounds a little bit contradictory. So if the reverse is to occur, market continue to rise, the gap which will supposed become bigger will be smaller to bridge? I guess what you are saying is that even if the gap becomes smaller, it can still be too wide for certain people to bridge. But that's also precisely why upgraders will want the prices to come down even more so that the gap becomes easier to bridge. You are partially right that it can be a struggle to sell. It will be a struggle to sell if the price is unrealistic. Just like in a rising market, it can be a struggle to buy a home at a realistic price. Yes, what we wanted to convey could have been better worded. Thank you for highlighting it to us. However, we maintain that there is a subtle difference between "wanting the price to come down even more" and "wanting the price to drop from the current 5 - 8% decrease to 20%" . If the later will to occur, say, within the next 3 - 6 months, the price gap may not necessarily be easier to bridge especially for "Upgraders", as the market dynamics would likely be drastically different. And speaking of realistic, this is rather subjective depending on who you are talking to and the circumstance at hand. During a falling market, what a seller deems as "realistic" is usually not so to prospective buyers (and vice versa). One can probably say the same when comes to a bull market, but the level of anxiety and "struggle" is definitely much higher with a falling market, based on our past experiences. At least with a bull market, we are reasonably sure that demand is still buoyant and the risk of negative equity is low to nil. I think the anxiety level also depends on the position. Eg in a falling market, if one buys first and then sells later to fund the purchase, then he's at the market. But not so much if he were to sell then buy. Yes, but that someone will probably be in the "cash rich" category to afford the luxury of buying first and waiting to sell later. However, if we are talking about the someone who need to fund the "upgrade" with proceeds from selling his current property, the anxiety may actually be heightened further. The pressure to be able to sell becomes even greater as he has already committed to a new purchase, e.g. made the initial down-payments. Based on our past understanding (which may be dated with all the new lending regulations in place), banks may still grant you a loan with the provision that you dispose of your current property within a stipulated time (but not more than 6 months, we believe), but it means that you be put on the clock to sell. And in a falling market, that is not a situation you want to get yourself into. Hi but you do realised that though the person may be cash rich from the cashing in of his home, he will also fall under your category of upgrader as he will have to use the proceeds from the sale to fund the his upgrade. Actually you have pointed out in your reply that the upgrader that's under pressure will be one that has already committed to a new purchase. However that wasn't clear in your initial blogpost. When we first decided to use "Upgraders" as one of our broad grouping, we defined this to mean the group of buyers that need to sell their existing home before they have enough funds to make the upgrade. And we have made that very clear. Tthe message that we were trying to convey was that for this group, a price drop of 20% in the property market may actually not work in their favour. Despite knowing that it runs contrary to the popular notion that "the bigger the price drop, the better it is for buyers in any circumstances", we had decided to share our opinion anyway. Whether it is a position of "buy first, sell later" or "sell first, buy later" did not concern us at that juncture. Because with either position, when executed as the market is undergoing a substantial price drop, is going to work against the upgrader (as per our definition, that is). At least this is what we think anyway. Speaking of clarity, we also did not specify in our blogpost whether the 20% drop that we used as basis of our discussion was over 6 months or 6 years. But we reckon that logic will point to the former rather than later. And to refrain from creating further misunderstanding/confusion, we will rest our case over this matter.